Since I live so close to the state line, it’s only natural that I do some of my birding along the Alabama coastline. I did a little research, and came across good birding reports on Gulf Park, so to Gulf Park I went. Turns out, Gulf Park is huge. 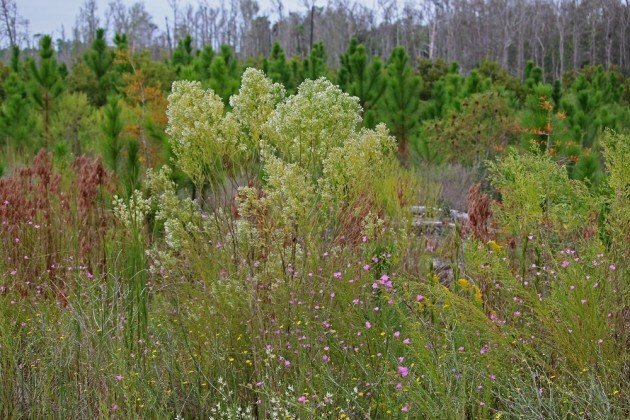 To bird, my husband and I focused on walking the Hugh S. Branyon Backcountry Trail, a paved multi-use path that winds through the coastal forest. 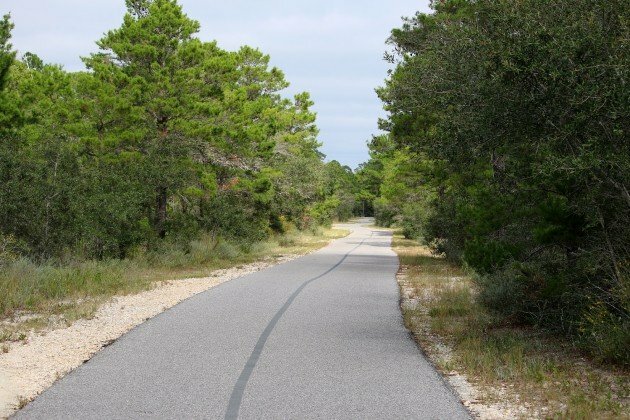 It’s actually a really great demonstration of the power of these trails to get people outside; in the three hours we were walking, we saw countless bicyclists, boy scout groups, dog walkers, joggers, and more. The birding wasn’t half bad either. 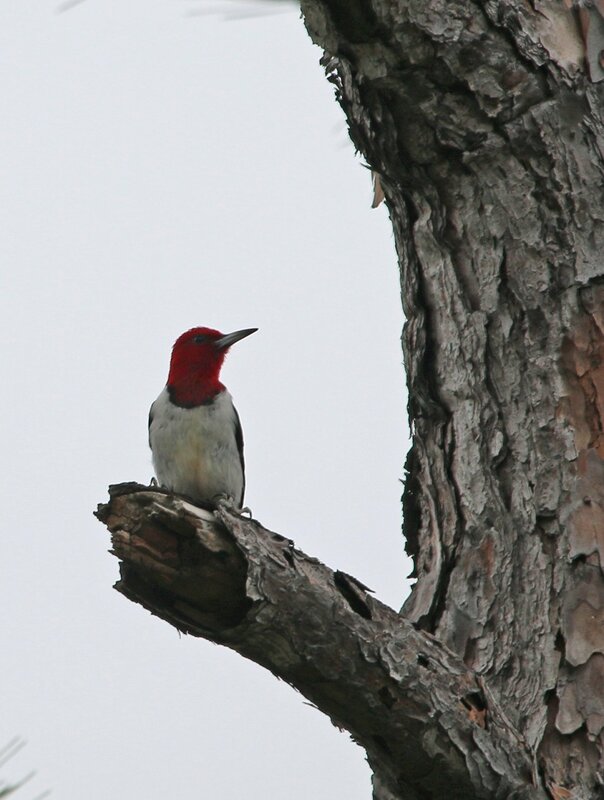 Though we arrived in the afternoon, we quickly spotted not one, not two, not three… but eight Red-headed Woodpeckers! Now, this is a bird species that is declining, and the eight we saw made up twice the total number of Red-headed Woodpeckers I have ever seen before my day on the Backcountry Trail. They were calling, flying after each other, foraging, and sticking their findings in one of the thousands of holes on the dead and dying trees in the area. Amazing! We were only a few miles from shore, so watching Ospreys and Bald Eagles return with fish from the Gulf was fascinating, as were the Double-crested Cormorants and Brown Pelicans that periodically flew overhead. Still, I wanted to see something particular, something colorful, something migratory. I have had a not-so-good warbler year. I missed many of them during spring migration when I lived in North Carolina, and didn’t see too many when I visited Maine at the beginning of June. I was thirsting for some of the species I hadn’t seen yet, and I knew my window was closing for 2015. 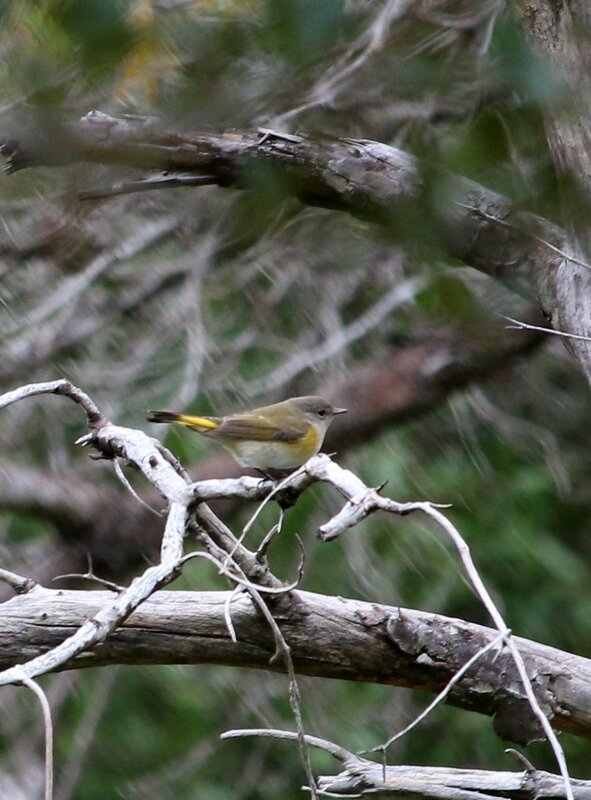 In the first half of the walk a songbird cluster had revealed both a Blue-gray Gnatchatcher (not really migratory and not a warbler) and a Common Yellowthroat, but of all the warbler species yellowthroats had been my most frequent sightings so far. I wanted more. We had reached our halfway mark and turned back to the car when we heard a very warbler-like chip. Pausing and peering through the pine-y undergrowth, I saw a flash of yellow on a grayish body. As the bird flitted from perch to perch, the yellow shown like the sun, and from the distinctive tail markings I knew I was looking at an American Redstart. Score! To me, Gulf State Park is one of the only things that makes an Alabama beach vacation bearable.